The quality of the components used for the Standard Build schedule rods will be the same as they will be for the Custom Build rods … And most assuredly, the blanks will be the same. The cork quality, guide systems, typical grip profiles (and in many cases) the reel seats used for them will be the same as would be chosen for our Custom Build schedules. The major difference between the two build schedules will be their cosmetics. Where as the Custom Build schedule rods will always be unique, with no two ever being the same … The Standard Build schedule rods will not vary in their appearance. They will be all built using the same details. All of the Standard Build rods, regardless of their length, power or family, will all be built using the same reel seat styles and guide systems. They will all have the same thread wrap color theme, single JC feather inlays, and cork components with typically proportionate grip profiles. All will include a hand written R.B. Meiser logo, rod description, month and year the rod was built, the rod’s grain window and the client’s personalized signature. RB Meiser Logo Rod Case and Padded Socks used for all Standard Build schedule rods. Standard Build guide systems will utilize Titanium framed “Minima” strippers for the 2, 3 and 4 weight Ultra Lite rods … With TiCr Carbide strippers typically used for the more powerful 5 to 10 weight rods. Our TiCr low carbon Stainless Steel snakes and tip tops will be used for all weight rods. The Standard Build schedule rods are classic, unpretentious yet elegant looking rods. 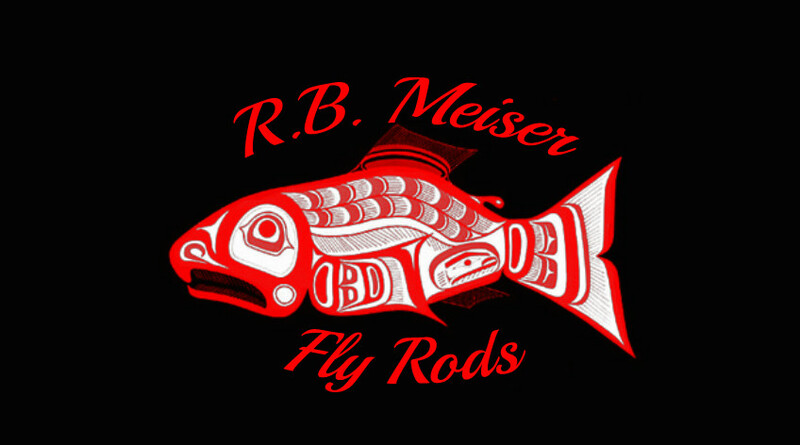 By their signature appearance …They will all unmistakably be R. B. Meiser rods built with the same care and degree of quality as would be used for any of our Custom Build rods. The bottom line is that are quality built, pride of ownership rods, and fine fishing tools … !! !